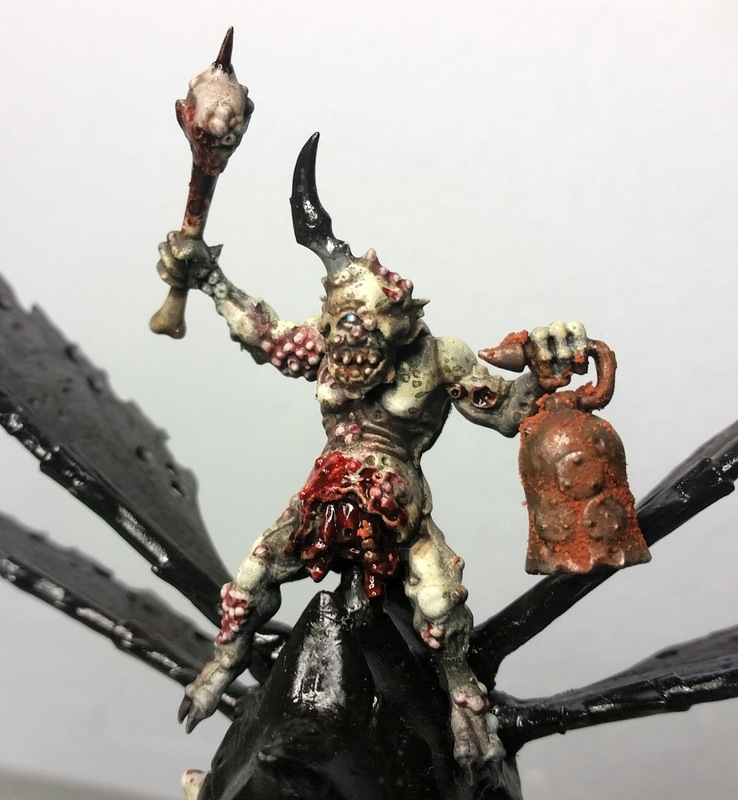 De Silentio Umbrae: XXXIV - Showcase: Nurgle Daemons Army Shoot! 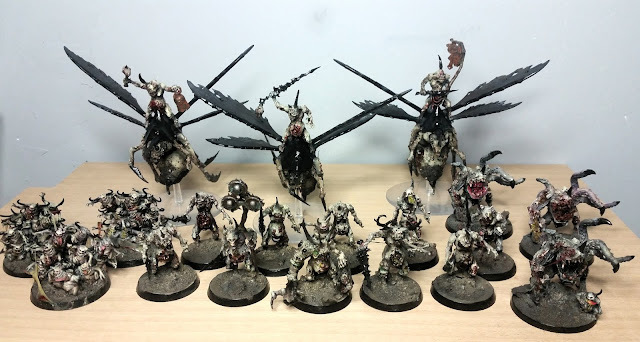 XXXIV - Showcase: Nurgle Daemons Army Shoot! Come to daddy my small maggots, lurking in the cold blood, drinking pus, rotting every breath, come to daddy following the toll of rusty bells, if your eyes are melted, or veiled by cataracts. 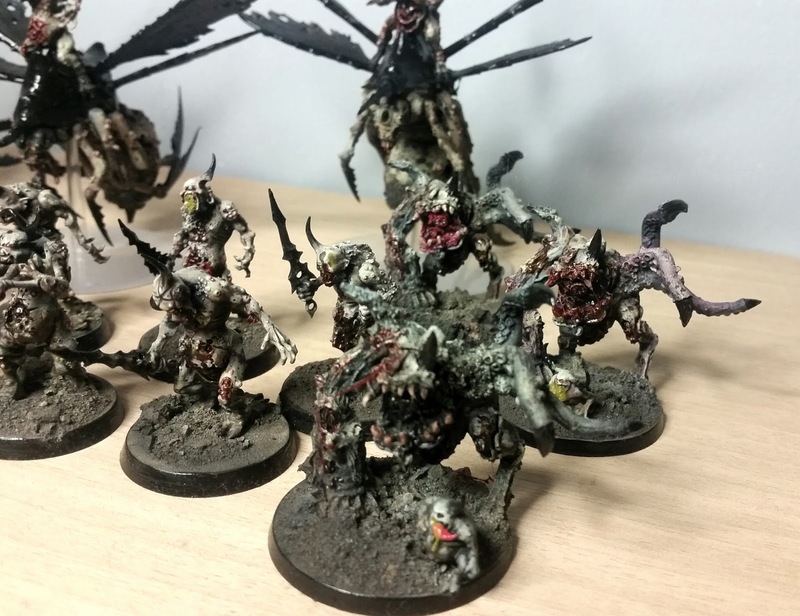 And here the necessary showcase of the small army of Nurgle daemons painted! Not too much words, it is the recap of the units painted. The Nurgle month/s is/are going to finish, only Maggot Lord (right now on the table) and the Glottkin are missing. If you are interested, they are all on sales (more info here)! Painting Nurgle set me free: I can do everything I want, try weird techniques, and use everything I want. I really like how they seem sick and drab: it is quite fun because to do this monotonous looking, I have used a lot of colours. 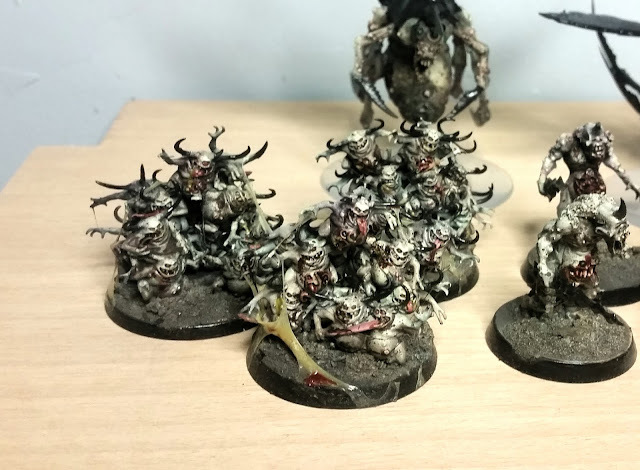 First of them were the Nurglings to be finished: them, spawns and Plaguebearers were painted together for some steps, but they were finished unit by unit, model by model. The nurglings are very small but totally worth to paint: I wanted them like blobs of vomited mucus. 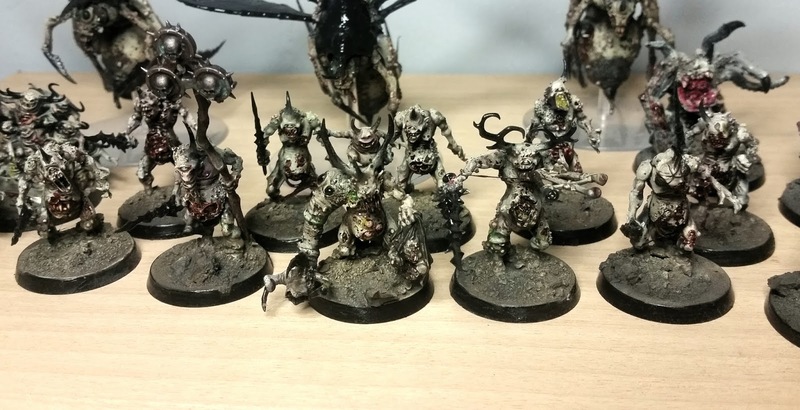 Then the Plaguebearers: those models have beautiful faces and left arms, very expressive. You ought paint some of them in your hobby life, the lack of difference (only skin, horns, guts and swords/banner/flute) make them something brutal but gorgeous to paint. Then the turn of the spawns: resin miniatures, a really good resin, the Kromlech are very different from the GW aesthetic but totally worth of painting. Last but not the least the drones: a mix of maggots, stingers and flies with plaguebearers as riders, what do you want more? The only thing I do not understand is the fact that the Plaguebearers are riding the drones in a too much "Slaaneshy" way.. if you know what I mean! And here the full army! Now on the Maggots lord and the Glottkin!